At most cases of printer, especially which have done refill at cartridge, print quality is poor or streaky. Many factors influencing this printed result. To overcome print quality is poor, maybe following tips can usefull to prevent printed pages are missing lines or streaky. First step is ordinary to be done many people when print quality is streaky that is doing cleaning. To get good printed result, sometime this facility is used more than once. Don’t fear to try some inking merks. Done this, you’d find refill ink fitt with your printer. I now only using one merk of refill ink ?. This suggestion of forum, but I still not yet proved. May believe or not. Good ink aroma of soft usually. This is last choice. A lot not like to do this ways, because price of original cartridge still costly. Alternative, you can use compatible cartridge which the was price of cheaper than original cartridge. At newest printer, usually there are two until four cartridge in one printer. 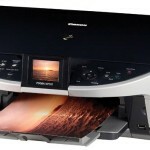 And price four same cartridge almost at the price of printer even there are some costlier. Related to "Tips to Prevent Printed Pages Are Missing Lines or Streaky When Printing"
yes, keep your cartirage in hot water for few hours. it works sometimes. Why refill ink always printed pages are missing lines or streaky ? 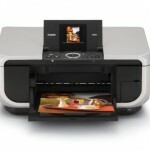 Printer can detect the original or refill ink ? Thanks for vice, but I can’t find my merk and my catiledge is missing enk. I will try nicely and please if it helps.